Even as Amazon's devices business grows in scope and ambition, the company continues to refine the Kindle, the first hardware Amazon built when it debuted in 2007. 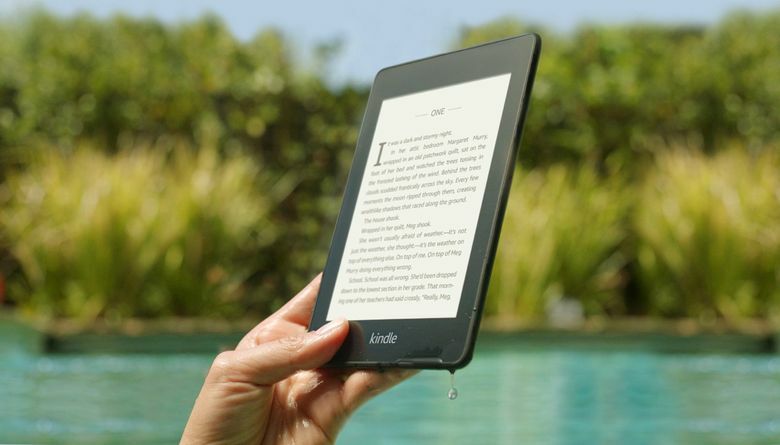 Amazon on Tuesday introduced an updated version of its Kindle Paperwhite, the lightweight version of the retail giant’s e-reader, for the first time in three years. The new model is about 10 percent lighter and thinner than the previous edition, which was released in 2015. It comes with more tools to customize and save page display settings to quickly toggle among font options optimized for reading outdoors, at night or in other environments. Even as Amazon’s device business grows in scope and ambition, the company continues to refine the Kindle, the first hardware Amazon ever built at the time it debuted in 2007. The e-reader used to be the star of high-profile media events. Today, the spotlight at Amazon is on Alexa, its voice software, and the Echo speaker, microphone arrays and other gizmos it powers. Amazon’s latest Kindle adds more internal storage, from 4 gigabytes in the previous model to 8 GB in the basic version. Also coming to Paperwhite is the waterproofing introduced to the Kindle with the Kindle Oasis, a high-end model launched in 2016 and updated last year. The new device, which ranges from $130 for the 8 GB model to $250 for 32 GB, will start shipping on Nov. 7. Those prices include six months of Kindle Unlimited, Amazon’s normally $10-a-month Kindle library. Correction: Information in this article, originally published Oct. 16, 2018, was updated the same day. The Kindle Paperwhite’s settings allow for toggling font display options, not the device’s lighting as originally reported.